The UN World Food Programme (WFP) says its facing a “critical funding shortfall” of US $62 million dollars as it tries to feed victims of the conflict in Syria. The UN food agency depends entirely on voluntary donations from governments and the public. Working with the Syrian Red Crescent, WFP provided food aid to over 500,000 war victims during July. 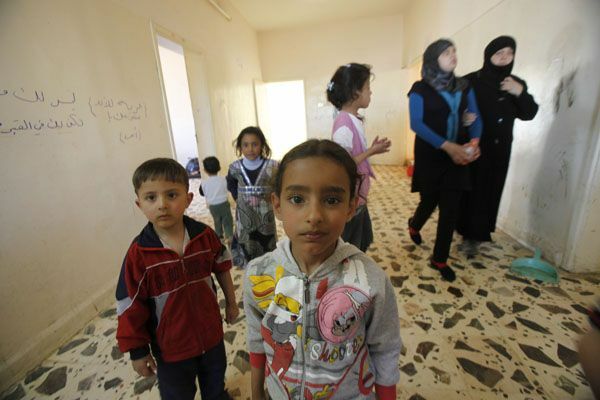 However, the violence in the country prevented WFP from reaching its target goal of 850,000 Syrians. A recent report also reveals that three million Syrians will need help during the coming months. The White House released a statement this week highlighting a 12 million dollar donation of additional humanitarian aid to Syria. This donation will be distributed among various aid agencies working inside Syria including WFP. So far this fiscal year the US has donated 27 million dollars to the WFP relief operation in Syria. Many more donations are needed as there is no end in sight for the conflict. WFP is also feeding a growing number of refugees who have fled to neighboring countries. There is expected to be well over 100,000 Syrian refugees in Iraq, Turkey, Lebanon and Jordan by the end of this year.